'Let them eat cake!" - Famous words allegedly spoken by Marie Antoinette, which sparked some controversy. Jean-Jacques Rousseau wrote that she said this when she heard that 'the peasants had no bread'. The problem here wasn't that the bakery had run out of bread, but that the peasant's didn't have the money to buy any. In other words, she, like all the French aristocracy, was so out of touch that she didn't understand what poverty was. There is no evidence, however, that Marie Antoinette did say this. 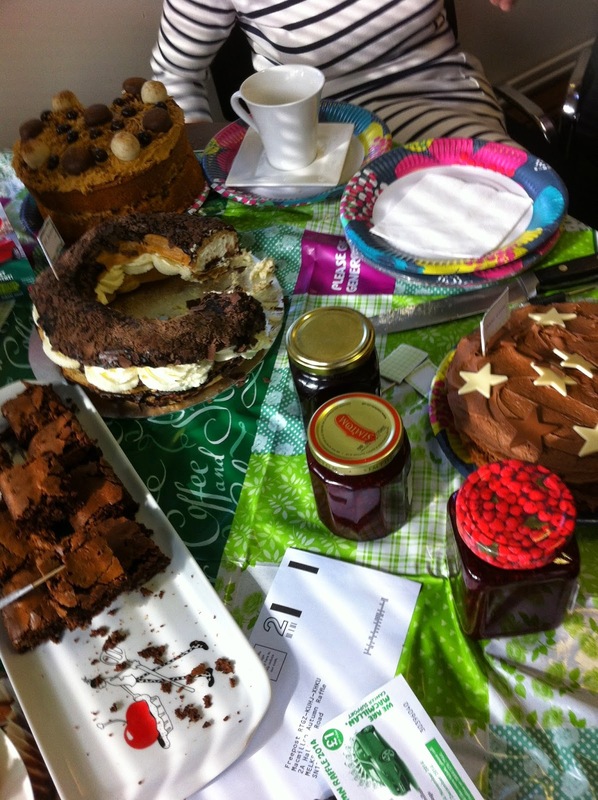 Each year, in September, Macmillan Cancer Supporters hold coffee mornings across the country. 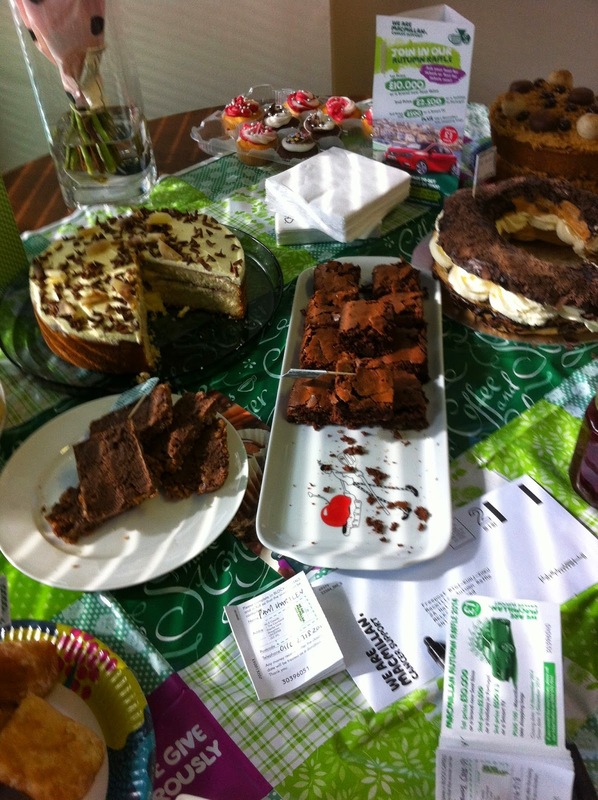 Over 98% of Macmillan's income comes from voluntary donations and fundraising. Yesterday, I was lucky to be invited to two such coffee mornings - although one was in the afternoon, which meant I could go to both. 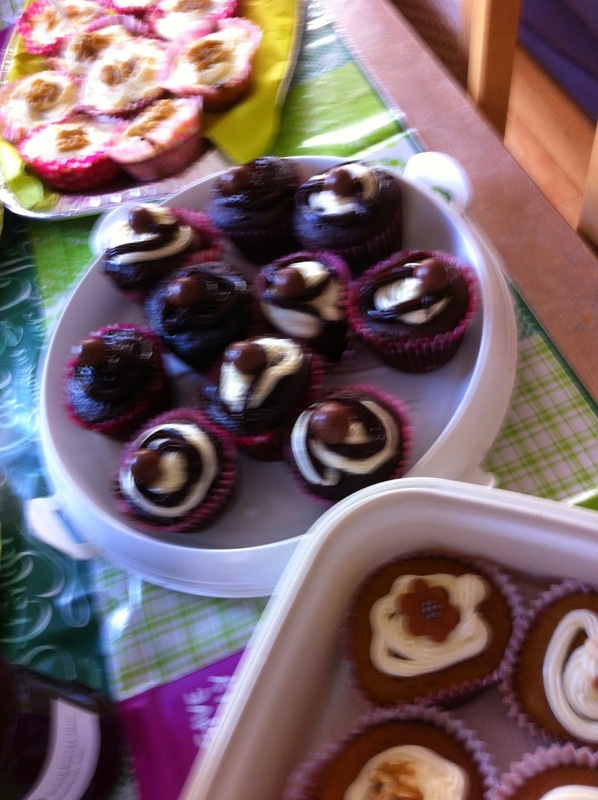 I ate more cake than is good for any one person to consume - but it was fun, and the cakes delicious. 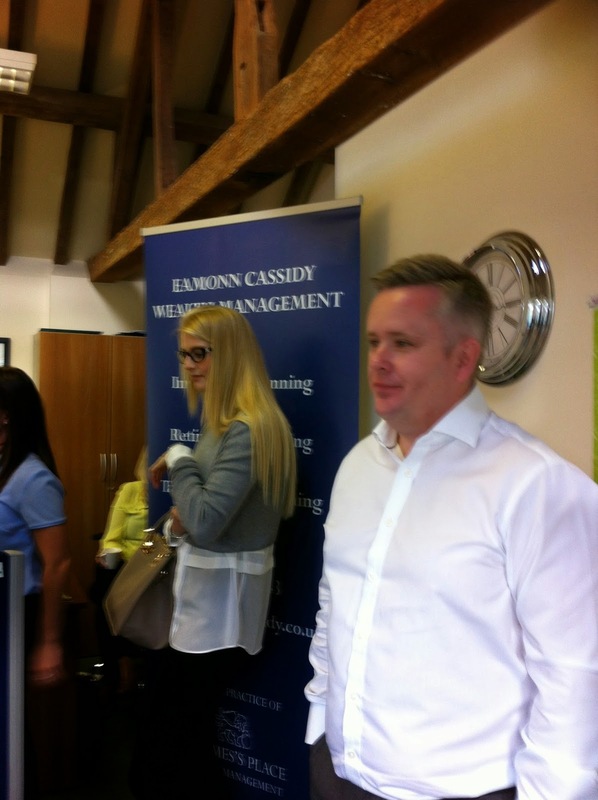 The first coffee morning was hosted by Eamonn Cassidy, Wealth Management Gaulby Lane, Stoughton, Leics. Lauren's Mars Bar Crispies were stunningly scrumptious. 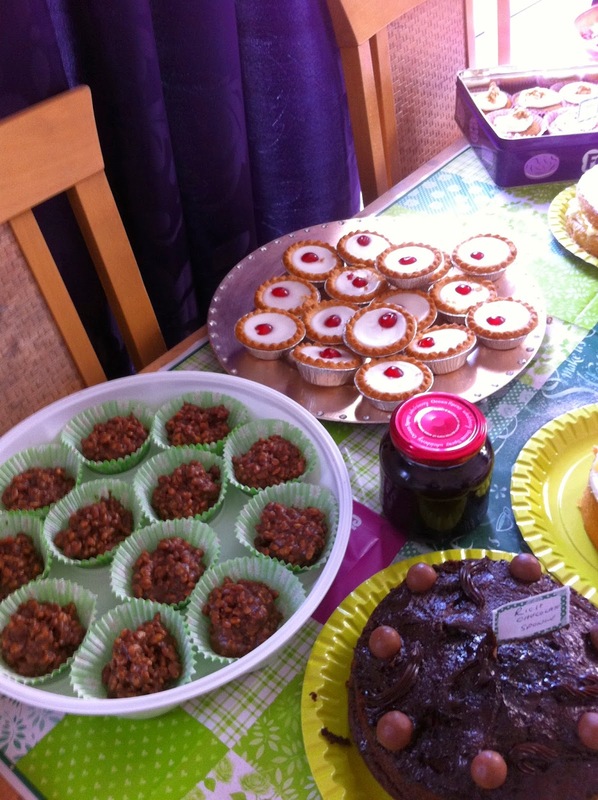 Mr Cassidy looking longingly at the cakes - well done, sir. Post meridian we moved on to Loughborough for afternoon tea (from china cups and saucers) more mouth-watering cakes, and, a glass of wine. Considering Gill in Loughborough didn't have an oven, the selection of home-make cakes was epic. 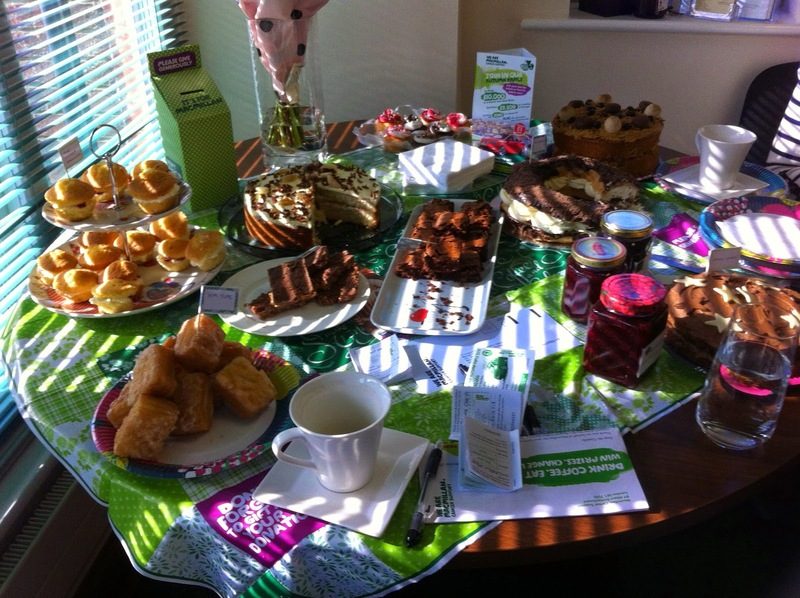 Well done to everyone who hosted a coffee morning event for Macmillan Cancer Support.